A popular device from Xiaomi seems to have been impacted by a major bug which landed in a recent OTA. We are talking about the Mi A2 bootloops after the January Update. Here’s what happened. A reddit user brought the issues into the limelight and after a bit of digging, we can confirm the issue exists. 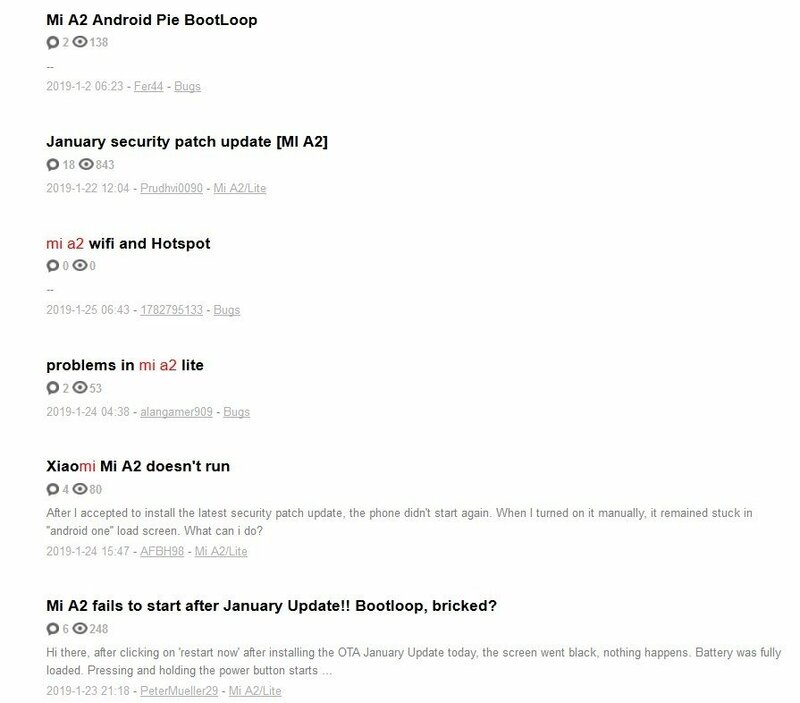 The Mi A2 bootloops appears to be a common problem which several people are reporting on the MIUI forums and on social media. After the security patch was installed, the phone tries to reboot and is stuck on the Android One logo, but never gets past it. Trying it multiple times seems to have resulted in the same thing happening over and over. Starting the phone in safe mode just says “error”, according to one post on the official forums. Other users have reported an error when trying to use the MiFlash tool, while some say they were unable to use ADB commands in Fast Boot. It may shock you or not at all, but the bigger problem here is not the issue with the Mi A2 Bootloops, it is Xiaomi. More specifically the fact that there has been zero response from the company. Why hasn’t Xiaomi even acknowledged the issues or tried to help those users who have been impacted? This certainly isn’t what we expect from a company which boasts a majority market share in India. And the fact that this is an Android One device is even more alarming. Will Google step in to offer support? A few users suggest that they have gotten the device to work by trying to power on the device continuously, though it seems like a stretch. Some users say that doing a factory reset has fixed the issue for them. We cannot confirm this, but you could try it. This will only work if the Mi A2 is soft-bricked, if it is hard-bricked you will need to take your phone to the service center. Do be warned, you will lose your data if you perform a factory reset.